Within the growing literature on China's international behaviour, China's Middle Eastern policy has been somewhat neglected and misinterpreted. It has been assumed that the Middle East played a rather marginal role in Chinese strategic calculations; yet at times the Chinese have been portrayed as a disruptive and subversive force in this area. 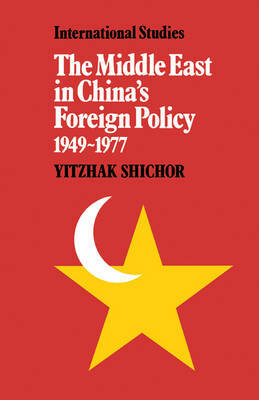 This volume attempts to correct both views by providing a comprehensive analysis of China's Middle Eastern policy. It argues that the Chinese were indeed unable or unwilling to become involved in the Middle East, let alone to threaten it. However, in their view, this area has always been strategically important as a key battleground for the struggle between the superpowers, the outcome of which could have serious implications for the security of China as well as for the rest of the world.